Espree Crystal Poppy Bracelet exclusively part of the 'Remember Me' Jewellery Collection offers a special sentimental gift idea. 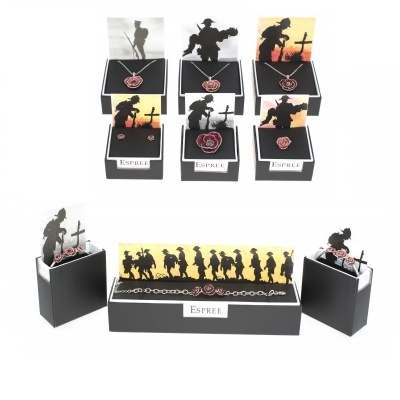 Fashionably designed for ladies to wear loosely around either wrist, whilst showing pride in remembrance of many lives lost in World Wars. Rhodium Plated Crystal Poppy Bracelet featured in the Vogue magazine. 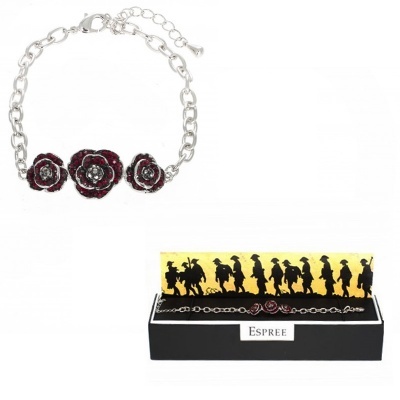 The 'Remember Me' Collection from Espree uses Poppy designed jewellery to express the pride of the nation, through armistice services and throughout the rest of the year.